On February 2nd, 2019, the University of Illinois at Urbana-Champaign (UIUC) held its 2019 Spring Festival event, spreading festive cheer among all those who participated. 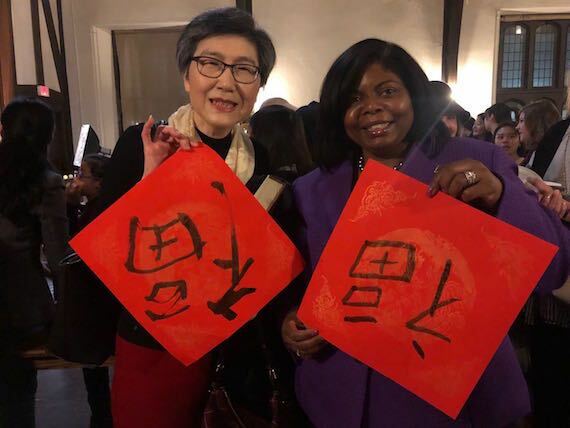 This year’s Spring Festival event, already an established holiday gathering for local Chinese students, scholars, and community members to celebrate the Lunar New Year, was hosted by UIUC’s Chinese Students and Scholars Association (CSSA). While a tasty array of traditional Chinese snacks lined the tables, unique and immersive cultural activities, as well as a lineup of brilliant performances kept the event’s over 400 participants wholeheartedly engaged. Education Counselor Chen Yinghui, Deputy Consul Liu Jiaming, UIUC Vice President Danita Young, Assistant Vice President Anna Tsai, Deputy Director Erin Schiller of the Office of International Students and Scholars, Project Manager Erica Wang of the Office of International Affairs and International Strategy, and assistant to the Mayor of Urbana Ms. Kate Levy were invited to the event. Counselor Chen Yinghui thanked UIUC for its consistent support of CSSA’s various activities. She also stated that UIUC and China share an incredibly long history of collaboration. 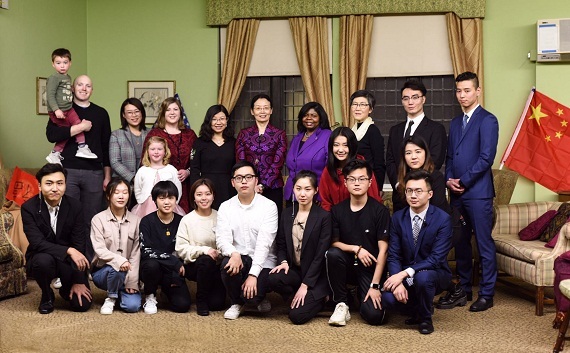 Over the years, UIUC has established solid cooperative relations with many universities and institutions in China and has also turned out large numbers of outstanding students who have brought their talents back to China. Vice President Young mentioned that UIUC currently has more than 5,700 Chinese students and scholars, whose stellar academic achievements have made UIUC proud. UIUC will continue to welcome and support students and scholars from China. The event began with a hip break-dancing performance, then continued with cross-talk, folk instrument performances, and dancing displays. While enjoying these marvels of the stage, everyone dug into plates of traditional Chinese New Year dishes such as rice cakes, spring rolls, and eight treasure sweet rice. After the performances, the event’s participants engaged in a variety of cultural activities including tea tasting, calligraphy, riddle-guessing, and lantern-making and immersed themselves gleefully in the festive and familial atmosphere. 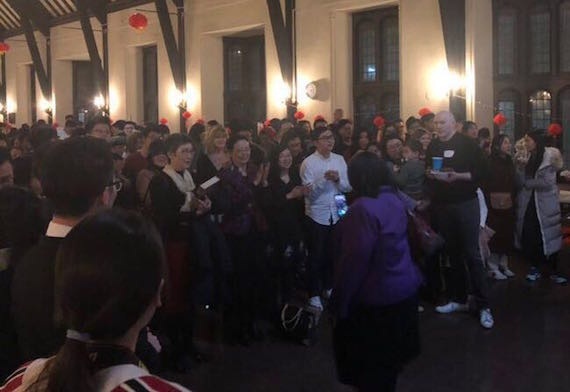 Many American friends joined in the activities as well, partaking in the joy of this traditional Chinese holiday and breathing in the beauty of Chinese culture.